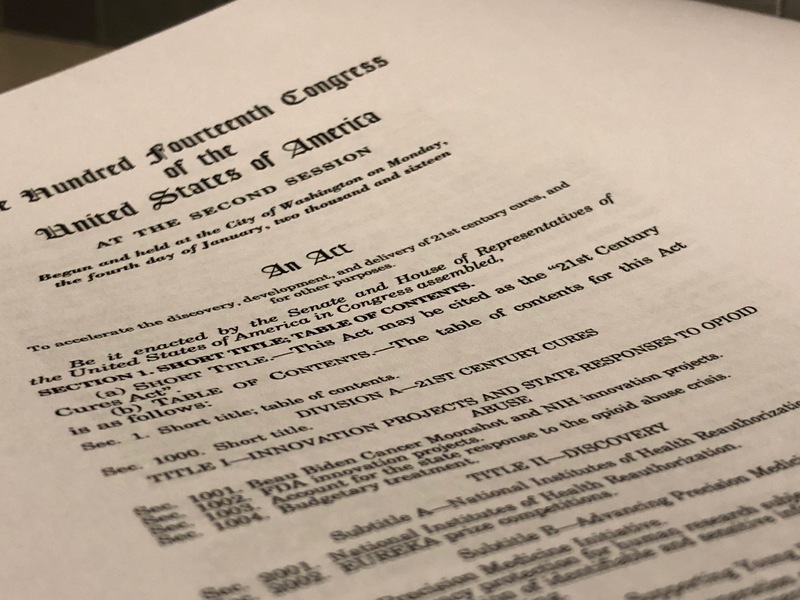 The signing of the 21st Century Cures Act signaled a recognition of the need for incremental oversight in Medicaid by requiring Electronic Visit Verification (EVV) for certain types of services delivered in a beneficiary’s home. On July 30th, the President signed into law H.R. 6042, giving states an additional year to comply with Cures Act EVV requirements by moving the deadline for compliance from January 1, 2019 to January 1, 2020, and also delaying any Federal Medical Assistance Percentage (FMAP) penalty for states by a year. In addition, the bill requires Centers for Medicare and Medicaid Services (CMS) to convene at least one public meeting in 2018 for the purpose of soliciting ongoing feedback from Medicaid stakeholders regarding electronic visit verification. For states, agencies and self-directed patients, this has a number of implications – both for meeting these requirements, and, most importantly, for implementing a compliant solution that advocates for beneficiaries, protects caregivers, and enables agencies to operate more efficiently. Read on for guidance on navigating these requirements and making your agency successful in the process. Implication #1: H.R. 6042 provides additional time to execute on the right solution, rather than rushing to “check the box” for compliance only. The additional time to implement EVV will enable states and agencies to fully consider all options, create more detailed plans, and to maximize the benefits of using EVV, rather than just rushing to “check the box.” Although the federal EVV mandate provided for a FMAP penalty waiver in the case of “good faith effort and technical problems,” this new EVV bill guarantees states no penalty for 2019 and would allow states to apply for a good faith and technical problem exception in 2020. Formalizing the delay of FMAP reductions provides both states and agencies additional assurance through the transition, as well as provides more opportunity to gather stakeholder input on proposed solutions. With the enactment of H.R. 6042, states who were not first movers will have the time they need, so they are not pressured to implement a narrow solution that does not meet the demands of its constituents. Implication #2: States are continuing their efforts, without slowing the pace. Many states are already moving forward aggressively and will continue to do so - despite the additional time given by the new EVV bill. There is a trend in the market towards implementing an open model, with over 60% of states having already indicated a preference for open and allowing agencies to choose the solution that works best for them. The remaining 15% of states that are still undecided will be able to learn from the first-mover states and build in the appropriate time for testing the solution they choose. Why is this beneficial? States who were first movers have seen benefits from allowing time for a pilot implementation phase, in which EVV data is being submitted but claims are not being denied. During this grace period, agencies can get accustomed to the state process for monitoring claims and test their submission of supporting EVV data without the worry of denied claims. Implication #3: EVV done right will provide benefits beyond simple compliance – supporting beneficiaries, caregivers, and agencies. Patients depend on the services they receive, relying on effective care and compassionate caregivers to get them through each day. By using EVV, administrators can be sure that caregivers have arrived at the location and performed each service according to the care plan. EVV systems can provide visibility to activities in the field and give administrators the ability to adjust staffing to best support their patients. For example, if a caregiver is running late from another appointment, EVV alerts can flag the situation, so that the administrator can dispatch a replacement for care situations that are time-sensitive. Overall, EVV systems support the beneficiary by ensuring they receive all services that they are entitled to as well as increase the effectiveness of care provided. Caregivers are passionate about serving their clients, spending their days out in the field making lives more comfortable. Using EVV enables them to be more closely connected to the home office who supports them in their important work. Monitoring through EVV increases security for caregivers, ensuring that the home office knows where they are at any given time and can immediately message in an emergency situation. Automating directions to a new location and having oversight during the visit helps caregivers who are deployed to a new field situation feel more secure. Additionally, automated solutions for documenting care minimize administrative work for the caregiver, allowing them to spend more time with clients and less time on paperwork. Agencies face pressure to provide excellent care at low costs, but most struggle with high staff turnover and the need to comply with an increasing number of federal and state regulatory mandates. Paper systems are commonplace, but very difficult to scale and risky in the event of an audit. The right EVV system can provide relief from administrative burdens, improve productivity of caregivers, and increase employee engagement. Overall, helping the agency to reduce costs and improve the quality of care delivery. As EVV technology grows, the role of EVV is expanding to deliver additional value to caregiver-beneficiary interactions – from identifying health-status changes at the point of care to electronically collecting consumer signatures to confirm the delivery of services. By embracing EVV technology over the next 18 months, agencies will be well prepared to meet the challenges and opportunities ahead.